Hello there and welcome back, literally this is the second post of the day! 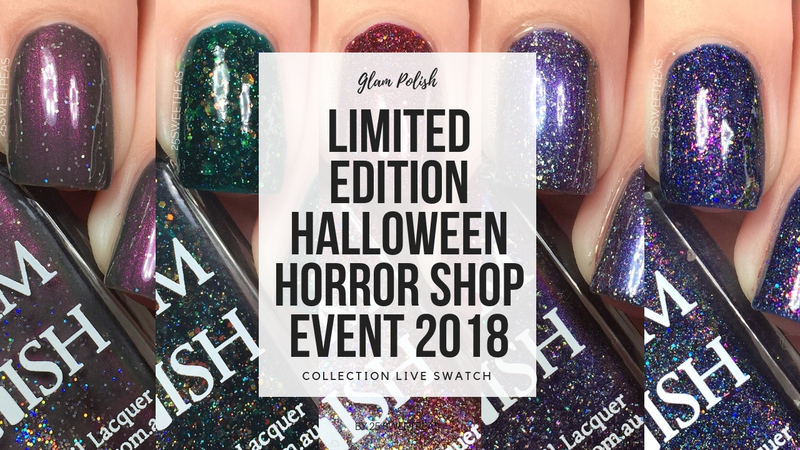 Today I have 5 of the new Glam Polishes to show you from the Limited Edition Halloween Horror Shop Event! 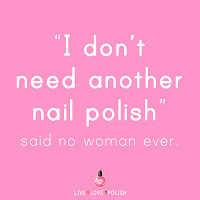 The collection actually consists of 27 new polishes and they are all lovely, so lets get started! A gray crelly with multichrome shimmer and ultra holo glitter. Lets just appreciate that shimmer for a moment! 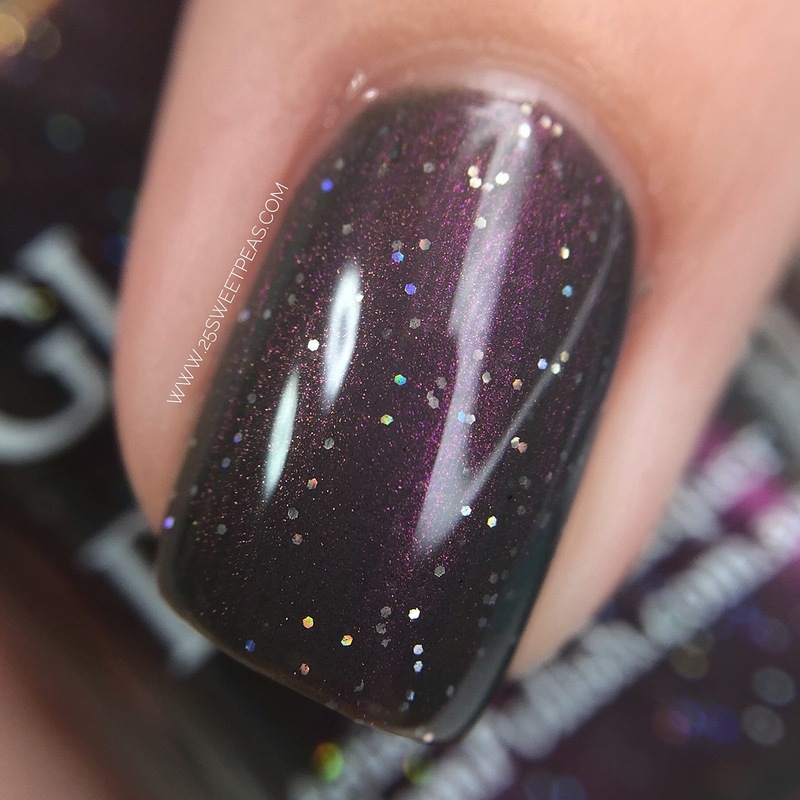 Its so intense and the scattered holo distributes itself so evenly and it just creates a really nice look. The formula was really nice and easy to work with. This is a multichrome shimmer as well so you get a neat orange/green shift I think you can see the shift pretty well in the video that is out now on my Youtube Channel. 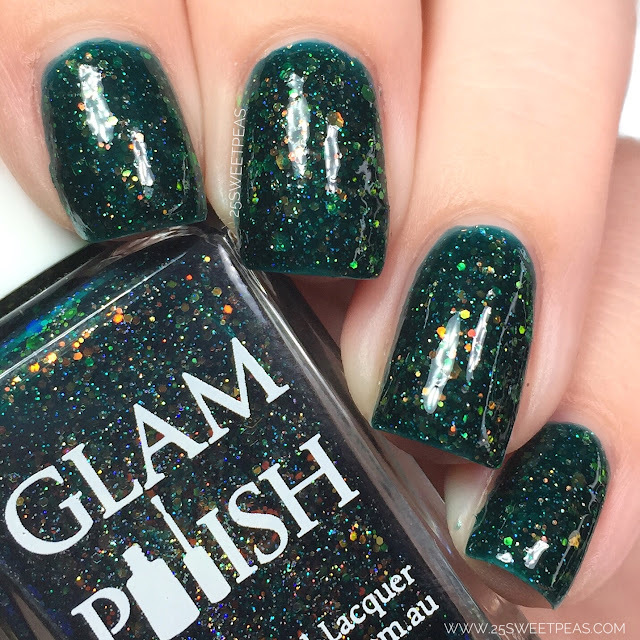 A Dark Teal jelly with iridescent glitter and fine holo microglitter. 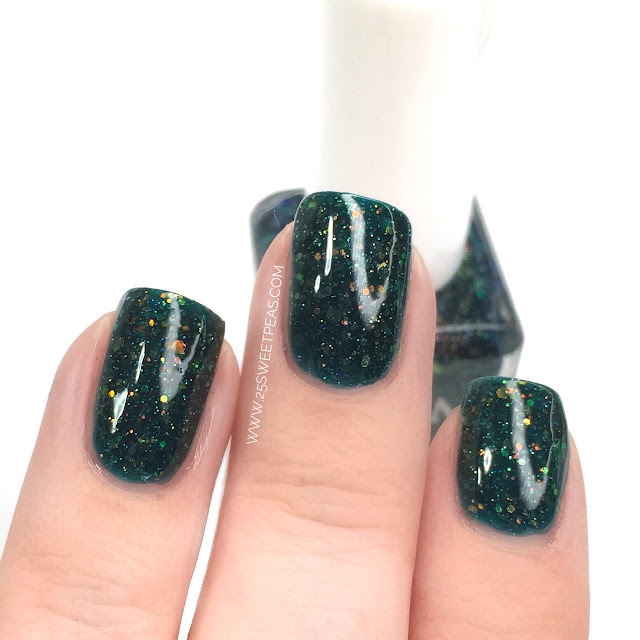 This teal/green polish is really pretty. 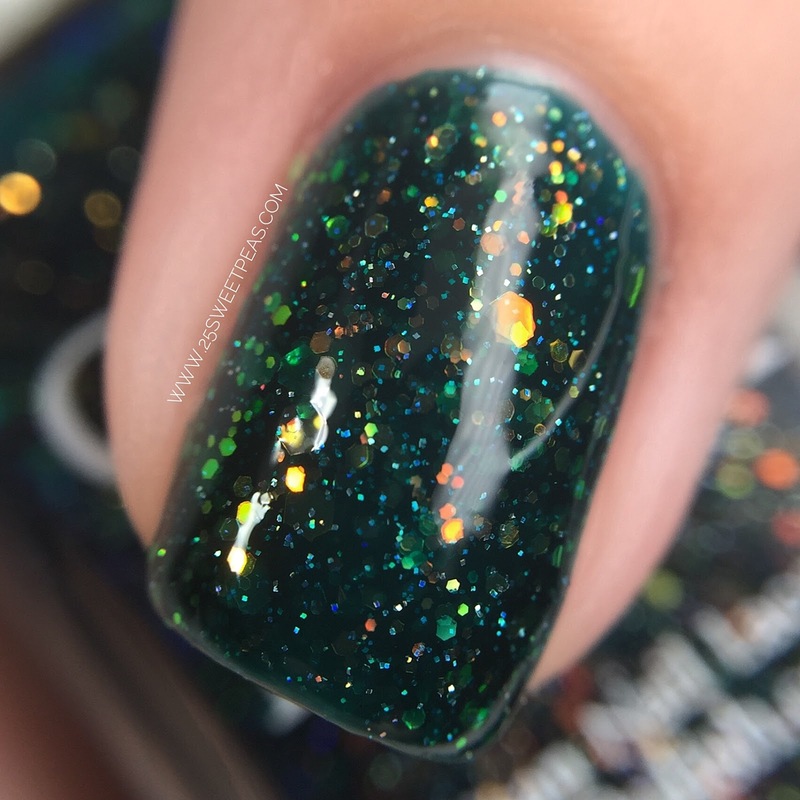 Its got so many different colors going on in it with various different sizes of glitters in it. The macro shows it all off really well I think! 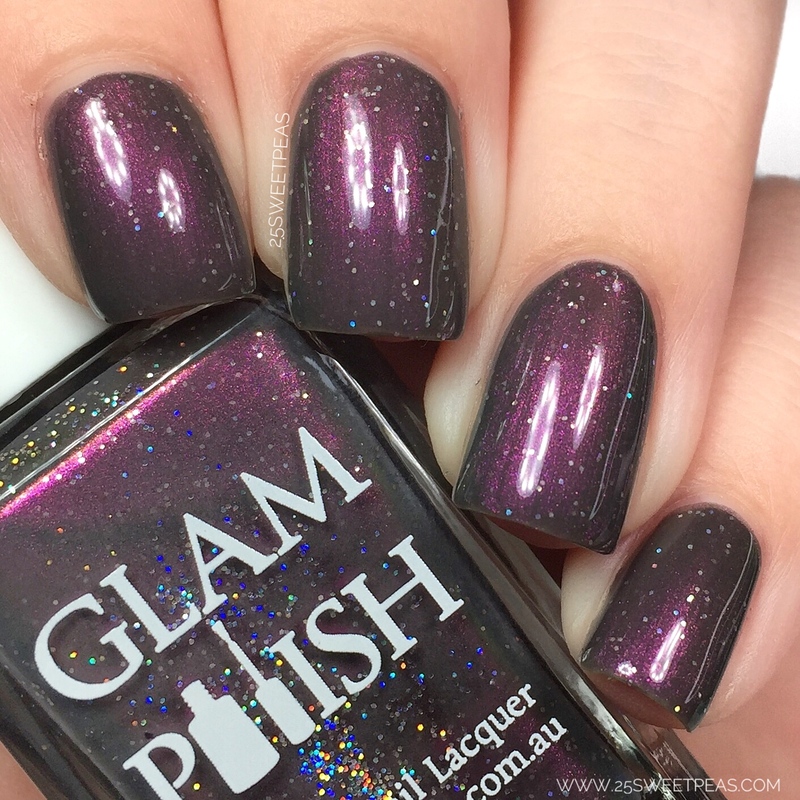 The formula was great and its a highly pigmented jelly with a lot of glitter so you get full coverage really quickly with just 2 coats. I suppose if you tend to do your coats really thin you may need 3 coats but as you can see in todays video, I did "normal" coats and got full coverage. 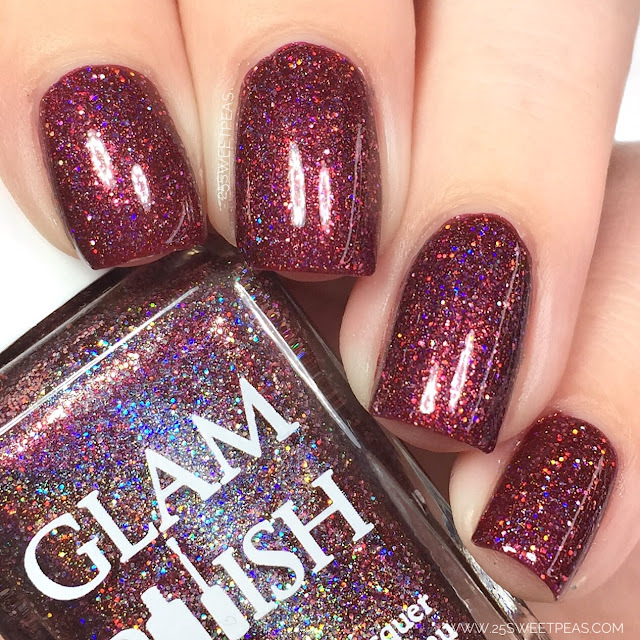 An Oxblood Red holo with ultra holo glitter. This polish is just STUNNING! 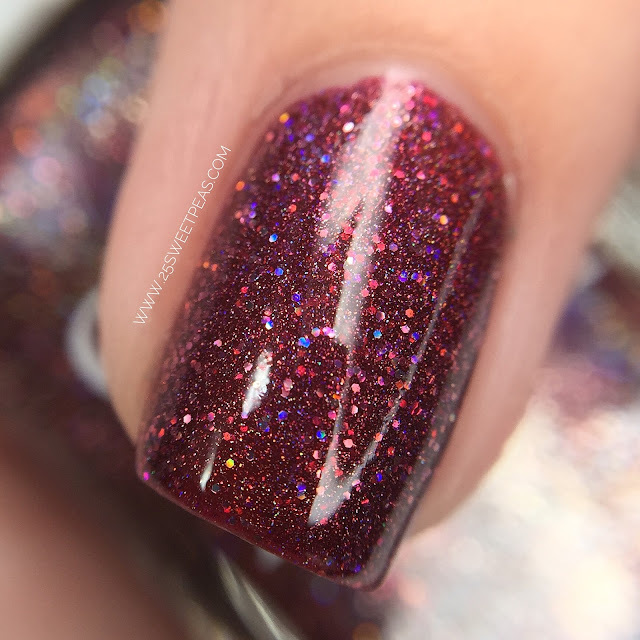 Like oh my, this is the most perfect holo red polish. 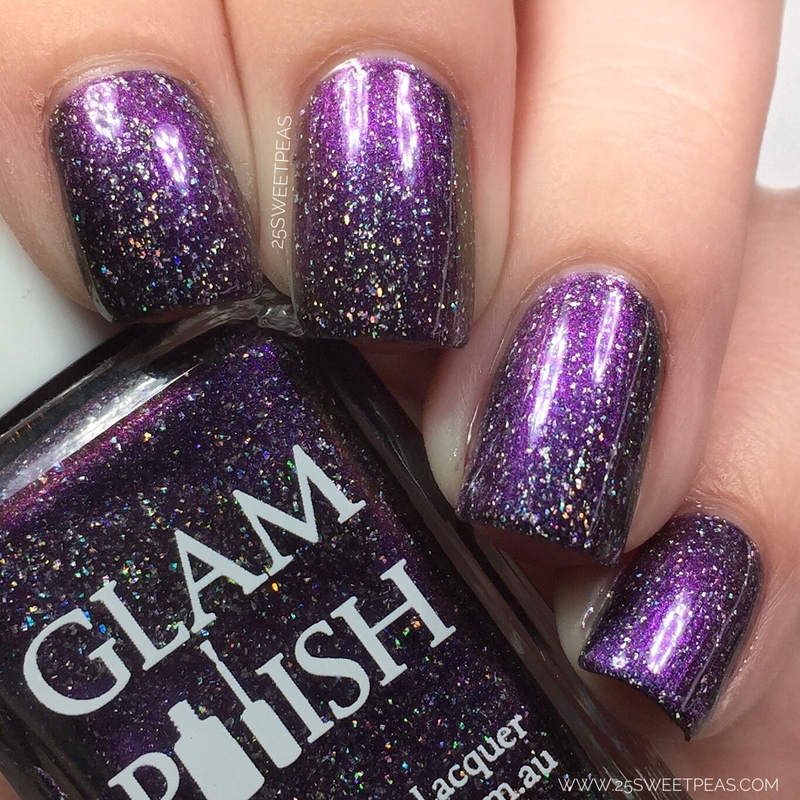 It has a super nice formula and applies so nicely. The intensity is perfect too. 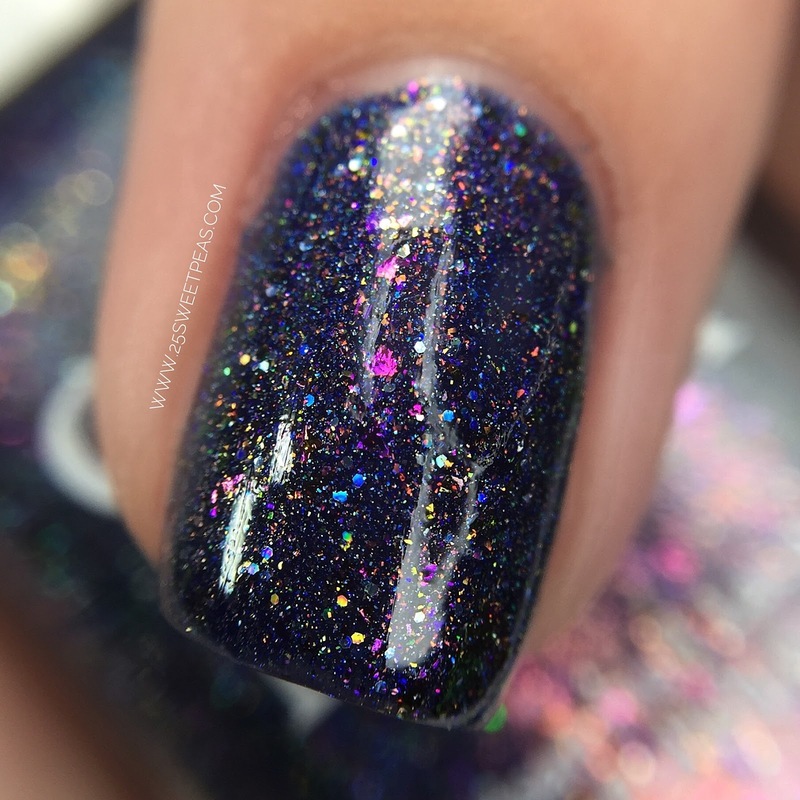 Its one of those that look holo 24/7. Like you don't need to be in direct lighting for it to show up whats so ever. 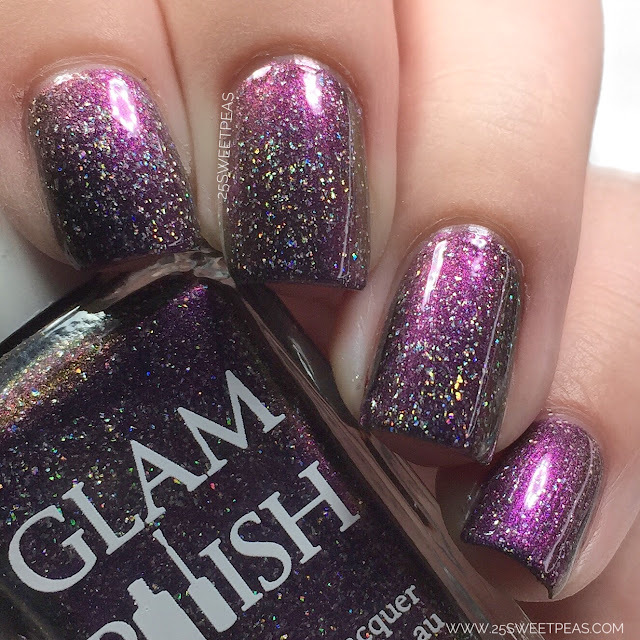 A Purple-Indigo-Red multichrome with holographic flakies. Ok guys, we have a shifty one here! Its absolutely stunning too because it has a really lovely amount of holo flakies in it as well and the polish applies like a dream! 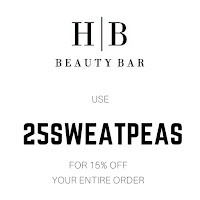 Super nice and easy formula to work with. This is the more blue/indigo stage. Here is the purple stage. Then here is the "red" stage that I would actually consider a magenta stage. 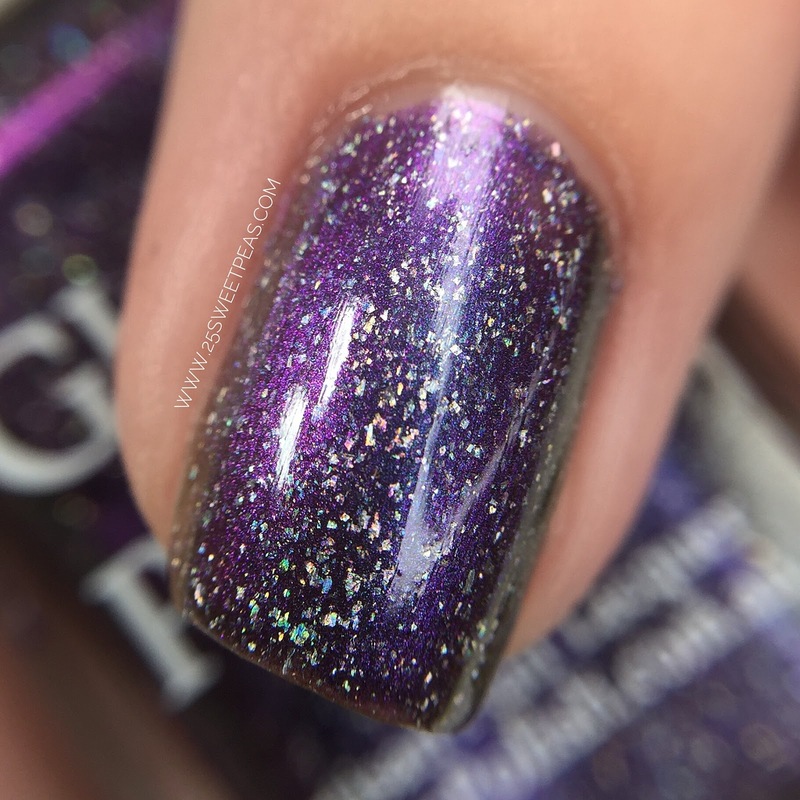 The flakies are perfectly sized as well. They disperse nicely and site very well in the polish and on the nail. 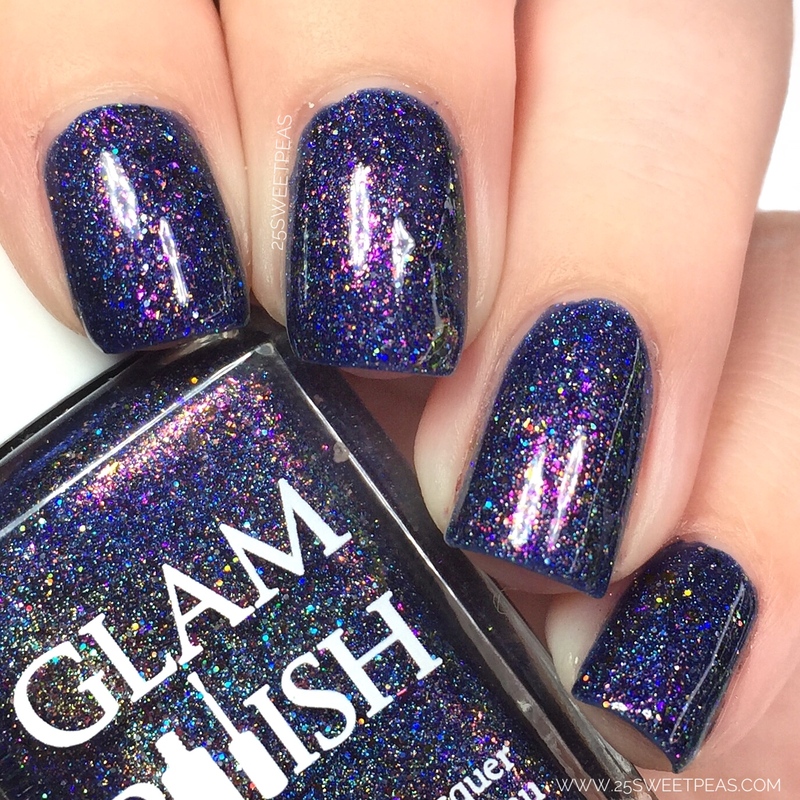 A blue jelly with unicorn shimmer, flakies, holo and ultra holo glitter. Here my my 2nd favorite. I mean I love them all of course but blues are always a little favored in my book for some reason. This one is kind of a jelly base but in all honesty its SO packed with shimmers, glitters, and flakies that you don't really notice that jelly base because its so full of beauty. It applies really nicely and SO many colors show up in it and I just love it. 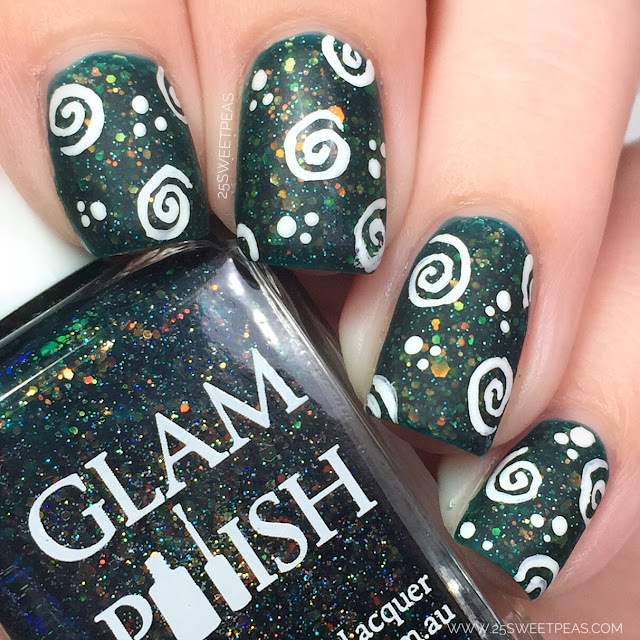 Look at everything going on in this polish! 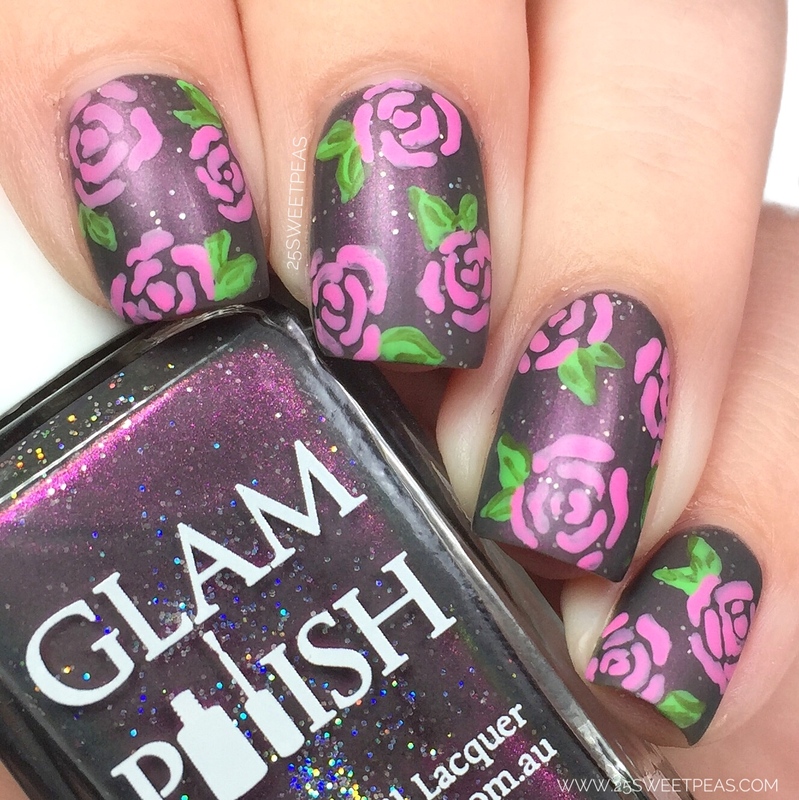 So with this collection I also did some nail art to add some extra fun! 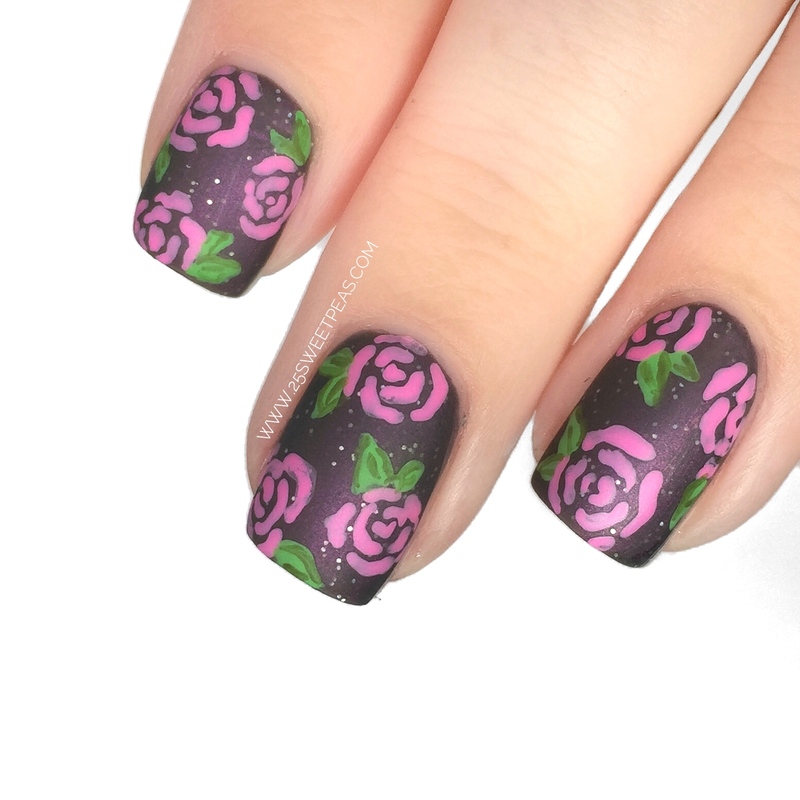 Here I sis a floral on Zombieland and then mattified it so I could see what the polish looked like all matte, and I really like it. It looks velvety and just really neat. I used acrylic paints for the details on this as well. Hope y'all like it! 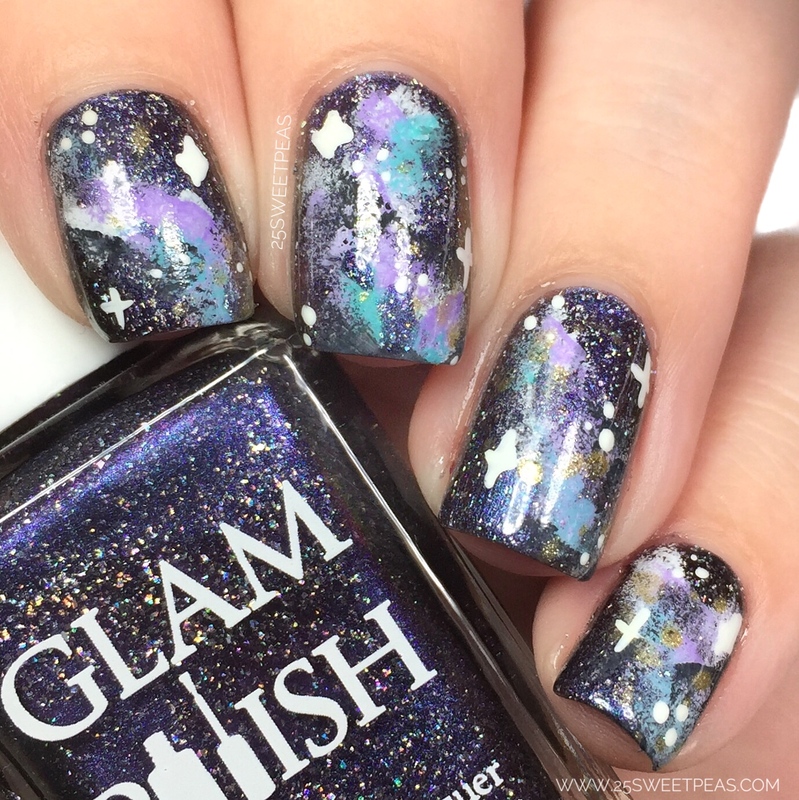 Its been such a long time since I have done one and in all honesty I for some reason don't like galaxy manis on me but I love seeing others! Ha! Weird? Yeah I know! The Girl Who Cried Monster always makes me think of the song The Girl Who Cried Wolf by 5SOS so I had to do some art so I could wear the polish a bit longer. 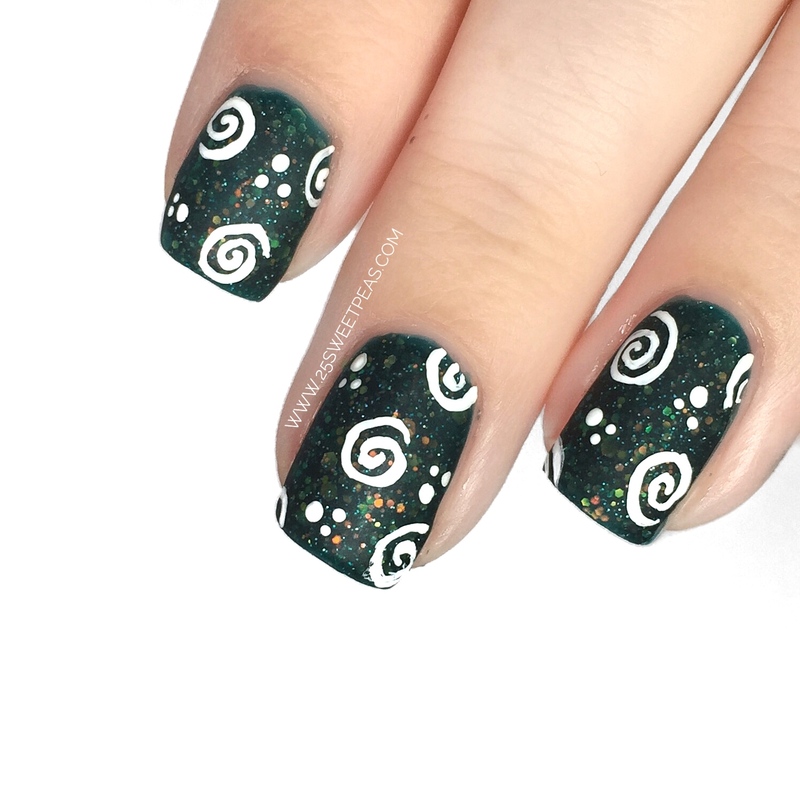 I ended up with a quick lil swirly doodle for something a lil different, and then went with a matte look. 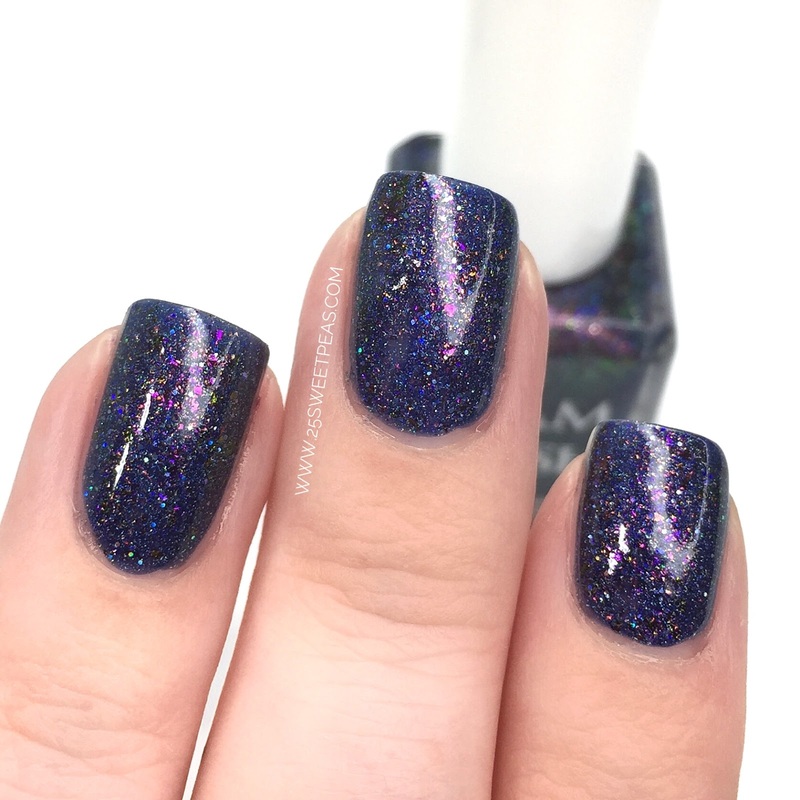 I really love how the glitters look with the matte top coat! It just looks super neat! Don't you think?! Well guys, that is a wrap! These polishes are all available now along with many more. 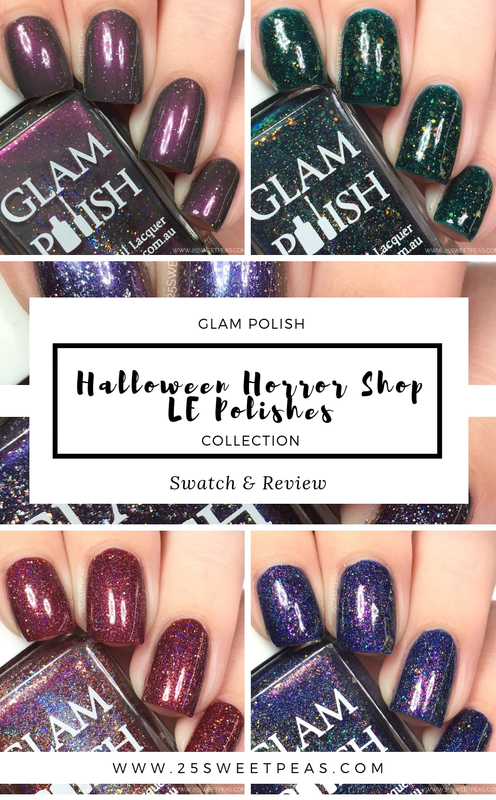 You can shop HERE for these and the rest of the LE Halloween Horror Shop polishes! 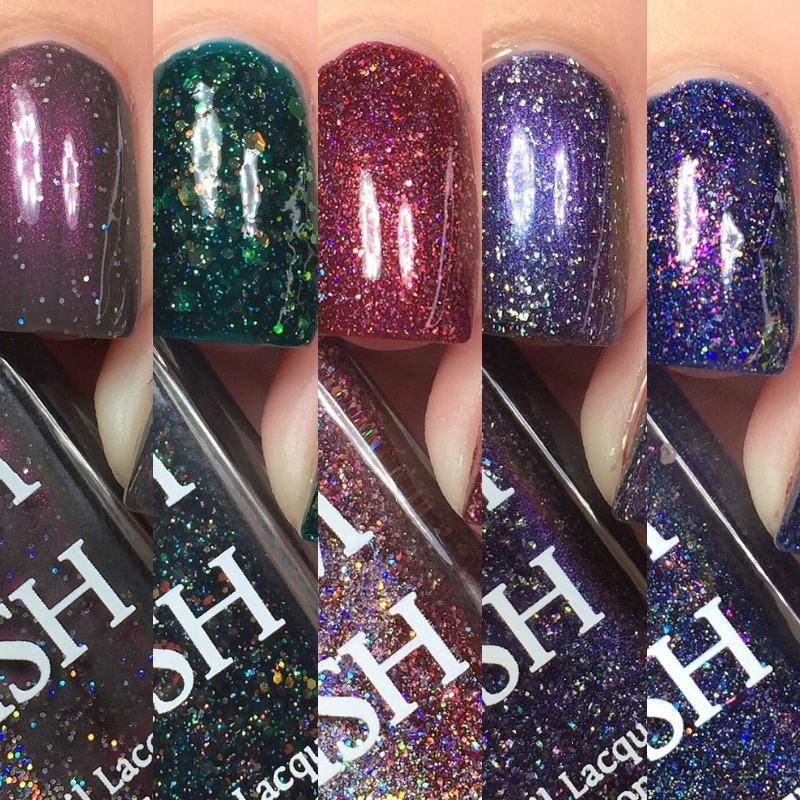 I will go ahead and share the descriptions of the rest of the polishes below in case you want to give them a read! 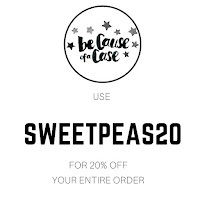 Wow, this entire collection is gorgeous!! 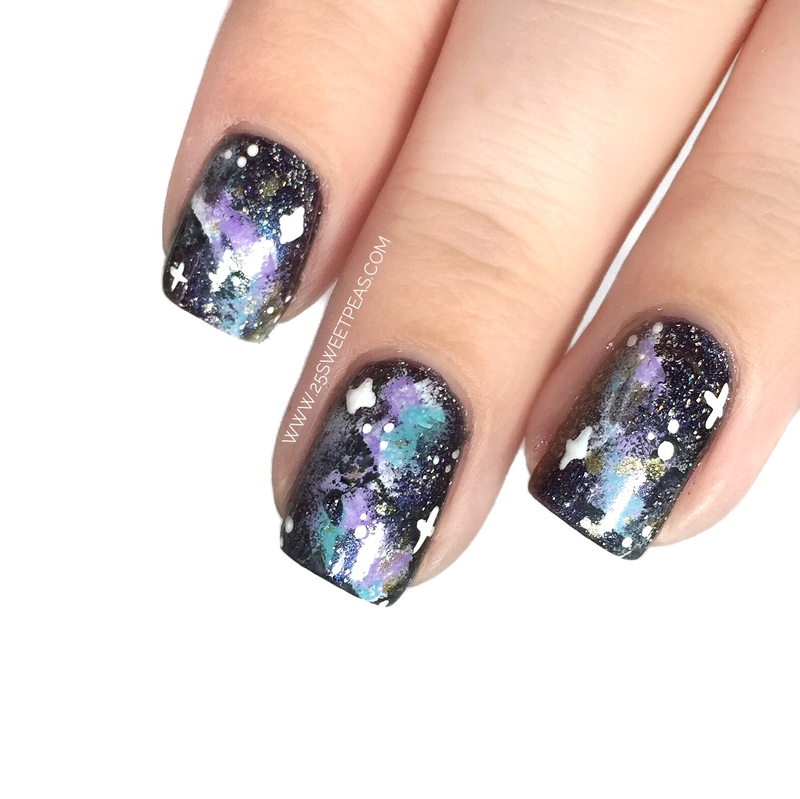 Your nail art all turned out amazing too!